WHO IS AMERICAN JEM AND WHAT KIND OF MUSIC WILL WE HEAR? Audiences fall in love over and over again with American JeM’s beautifully crafted three-part harmonies and high-energy performances. 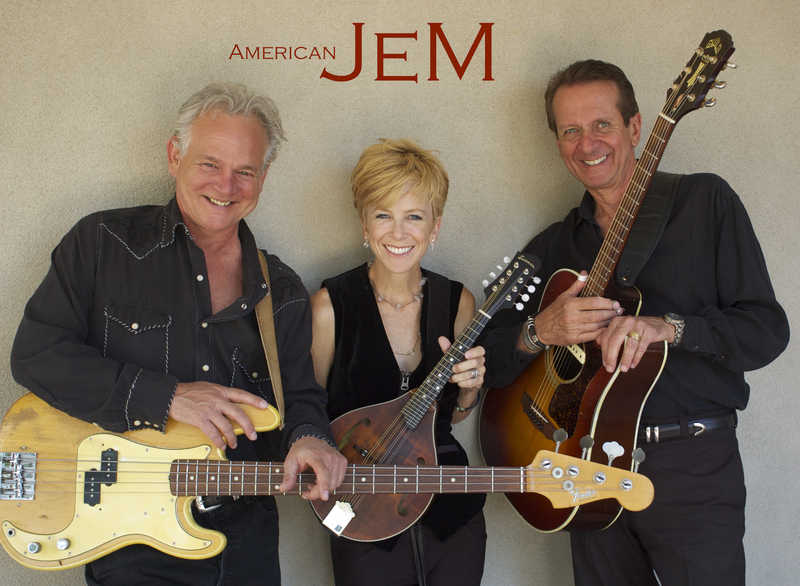 American JeM setlists include some “old favorites” with American JeM harmonies and musical arrangements that span musical genres of Country, Folk, Bluegrass, Rock, Gospel, and Traditional tunes. And, American JeM band members, Jay Cawley, Ellie Dendahl, and Michael Umphrey compose original toe-tapping, and heart-warming tunes of their own that keep fans cheering for more! American JeM released its debut CD in August of 2013 and American JeM singles “La Llorona”, “Something In Your Eyes” and “O Holy Night” are available for purchase on iTunes. This entry was posted in live music and tagged American JeM, americana, eldorado, live music, Santa Fe, The Performance Space. Bookmark the permalink.